by Steven B. Dowd, Ph.D.
As we age, dates blend, so forgive me for not giving exact dates. I remember Judge George Leighton not because he was an African-American, but because of his sportsmanship. One day David Sprenkle, the future Illinois and now Washington FM, and I traveled from Champaign, Illinois to Chicago to play in a chess tournament. David was always a gentleman, so I also owe him a great debt which I have already been able to put to paper in a scholarly article entitled "What Chess Has Given Us," with WIM Alexey Root. This was in the free-wheeling 1970s and I was ignorant of racial differences, having grown up as an Air Force brat, and a lot of black Airmen were my friends (well, they let me hang around them, anyway). My first shock was arriving back in America in 1972, and raising my fist in the spirit of the time, as I had done a thousand times before, and greeted a black porter with, "Hey brother…" No more words came out of my mouth and he was quickly gone. I found soon that America was in a racial quandary I never knew existed. My dad had black superiors and subordinates, so the thought of a black "inferior" race never entered my mind. In fact, one black man the whole family called "Uncle Harry," as we loved him so. He is now gone, as is my father, but they were the most successful team in their business I ever saw. His son was an African-American chess prodigy, who gave up the game but now is a successful restaurateur in Champaign. 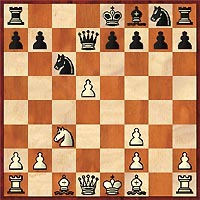 The Judge gave up the piece, never showing the emotions we often see in chessplayers who have blundered. Maybe the Judge thought, from his legal experience, that no one was ever found innocent by confessing, that no one has ever won a game by resigning. He played on, and played hard! I won barely. In fact, it came down to a K+P ending that I didn't know how to win (how embarrassing that sounds today), but just lucked out and won. But what struck me was the post-mortem. 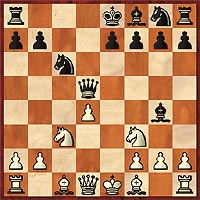 I was acting like the typical juvenile chess jerk during the game, but the Judge insisted on a post-mortem. He skillfully defused my armor of disdain, and showed me how chess was a game to be enjoyed. Today, I am reminded of some of the better TV judges, who can defuse a delinquent in nothing flat. Judge Leighton may have helped me discover sportsmanship, and I note, that win or lose, whenever I play someone young or inexperienced, I do everything I can to be a sportsman and welcome them to the great game of chess. Thank you, Judge, wherever you are. You can be glad to know that you were one of the lessons in my life, and you taught me through chess. Without the Judge (and I have not been fortunate enough to see him since that day), I may have stayed the jerk type of player that drives people away from our game. As an educator, Judge Leighton was tops, and not a bad player! More on Judge George Leighton in "Historic Moments"